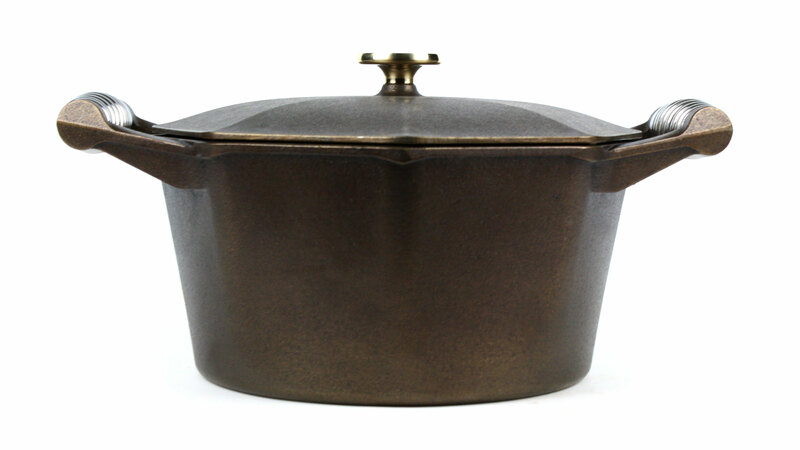 The Finex Cast Iron Cast Iron Dutch Oven is perfect for baking breads, braising meats and root vegetables and most steaming, stewing or slow-cooking recipes that require even heating. 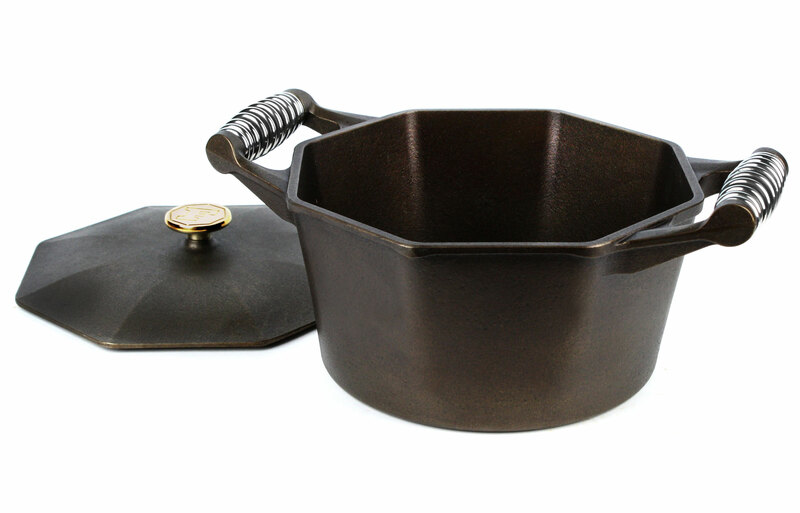 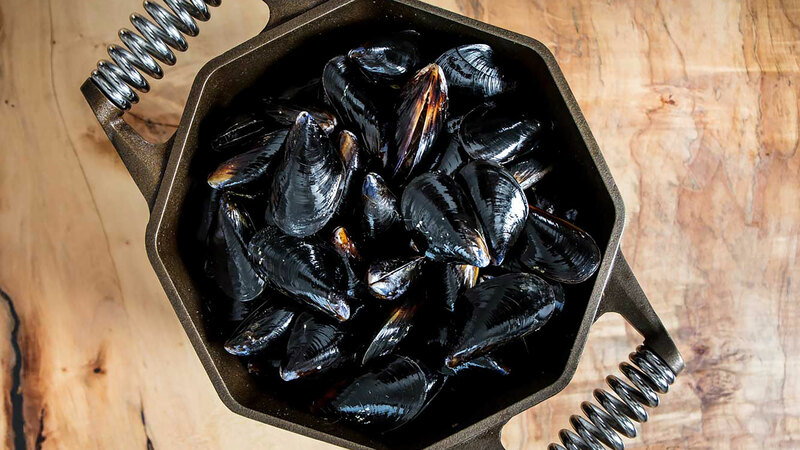 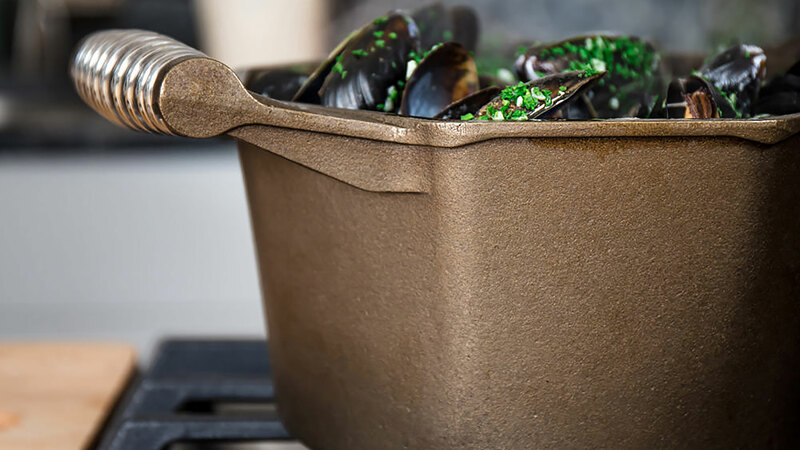 Stable and tip resistant, each cast iron Dutch Oven is made by hand from premium American cast iron and polished stainless steel then double hand seasoned with organic flax seed oil for a lifetime of use. 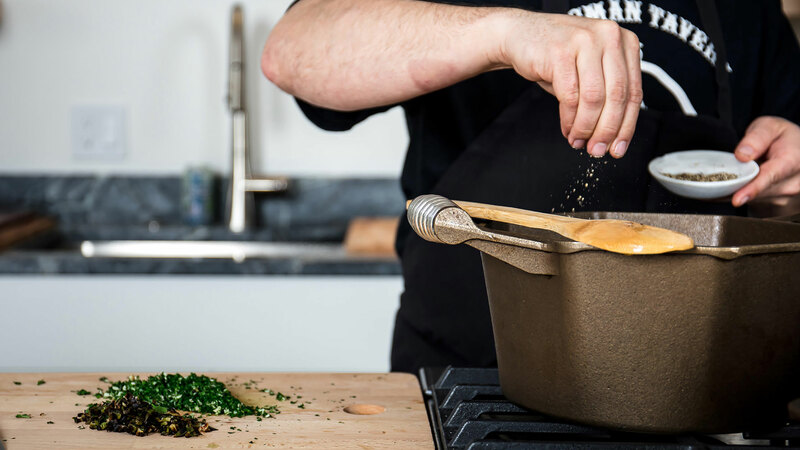 Heavyweight construction ensures even-cooking heat retention and distribution on any stove top, oven or over-the-coals cooking scenario. 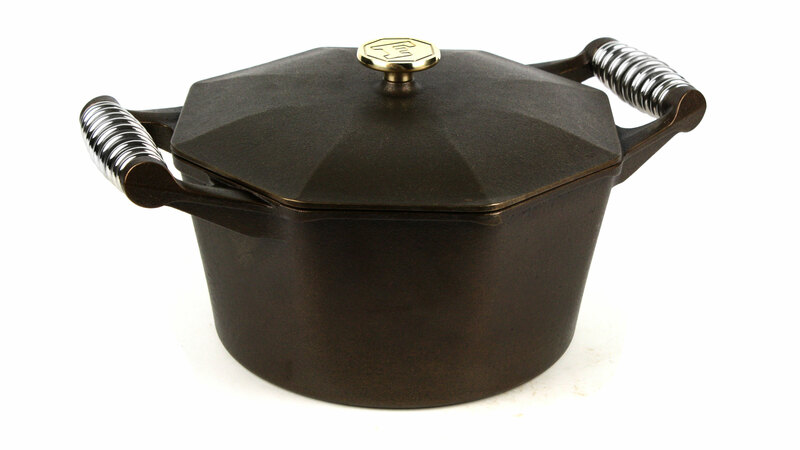 Octagonal shape offers spouts that pour easily yet are completely covered by the included lid. 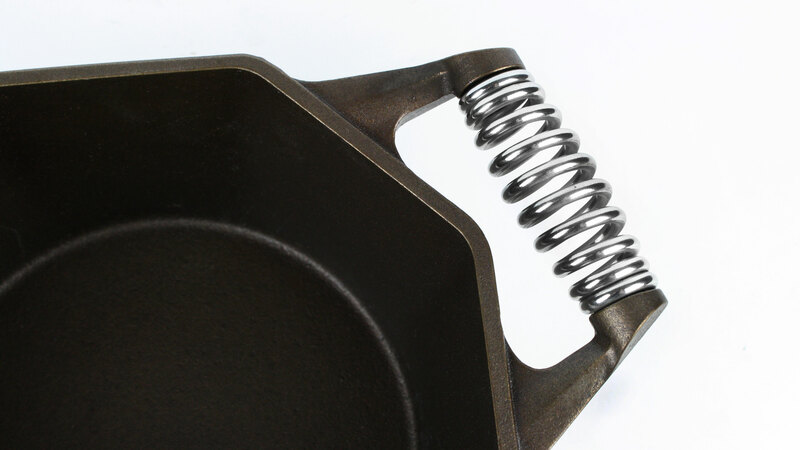 Dual stainless steel "Speed Cool" spring handles make it easy to bring to the table. 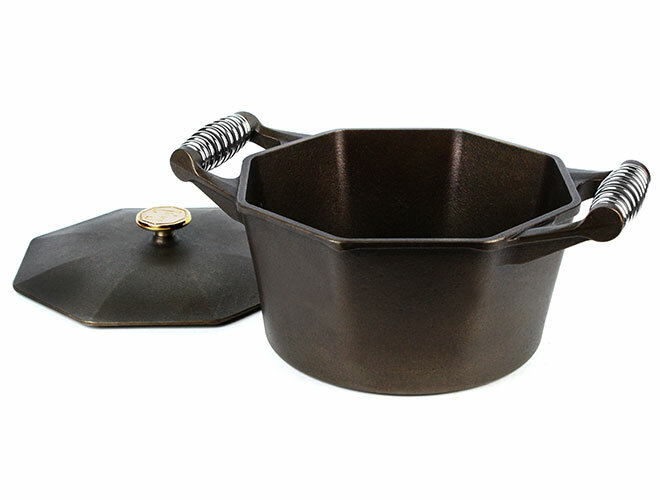 The Dutch Oven lid also fits the Finex 10-inch Skillet for extra versatility. 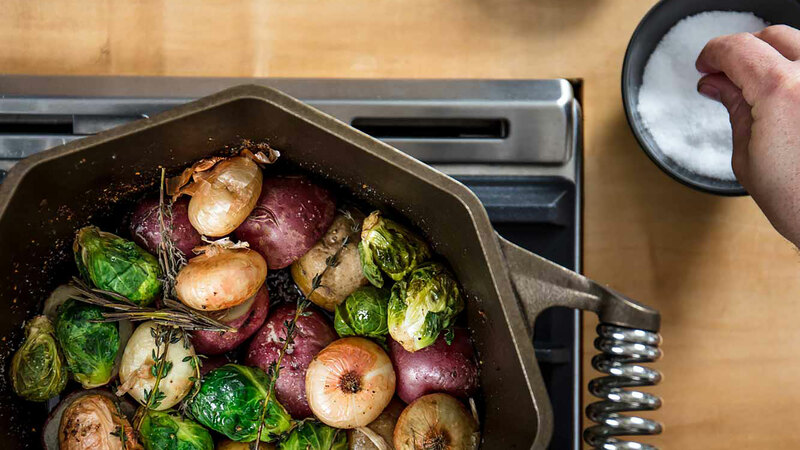 The oven is pre-seasoned with organic flax seed oil and precision assembled.The signature quick cooling stainless steel springs and permanently secured with commercial rivets for handles that are as sharp looking as they are functional. 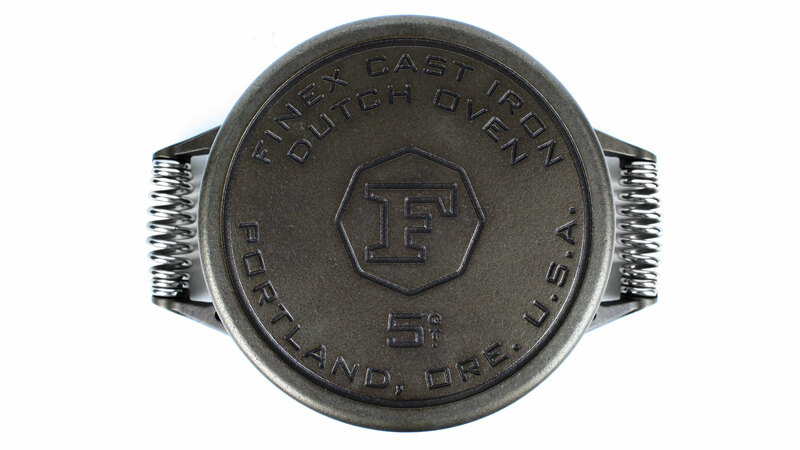 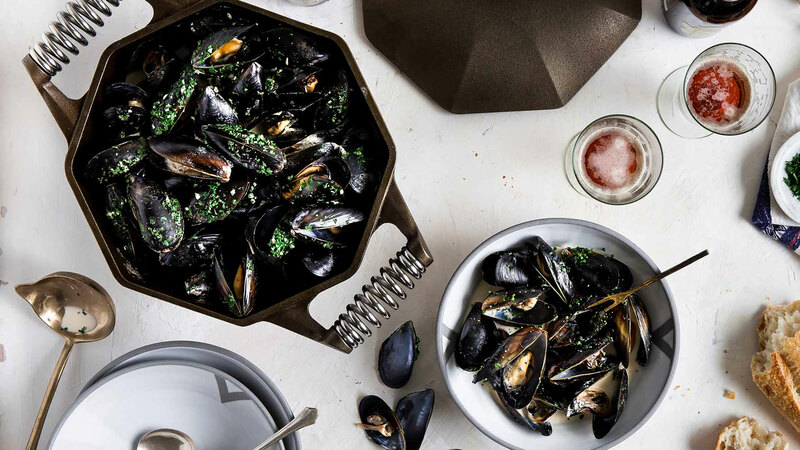 Finex Dutch Ovens are guaranteed to become a favorite piece in your cookware collection in short order and, eventually, a cherished family heirloom.